Mr. and Mrs. James Waterton, 9 Brownside, Worsthorne, have received a cable from their son, Richard, who was serving aboard H.M.S. Zulu in the raid on Tobruk last week, to say he is safe. Formerly employed at Sutcliffe and Hace's? manufacturers, Elizabeth-street, he joined the Navy five years ago, and was aboard the Zulu when she torpedoed the Bismarck, and is in the Malta convoy. A Leading Torpedo Operator, he had also served on H.M.S. 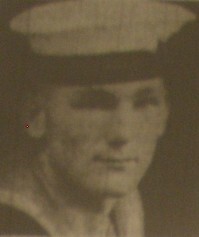 Wren, H.M.S. Royal Oak, and H.M.S. Gloucester before joining the Zulu.